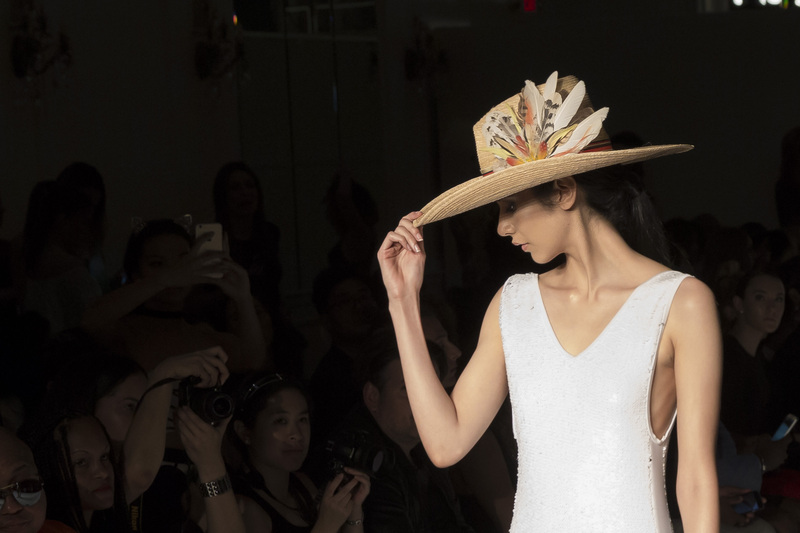 This time last year, and the three years prior I was in New York City, preparing as we speak, for my Millinery shows on the runway of New York Fashion Week. This year, however, I graciously declined the Big Apple invitation to instead embark on my own ‘stuff,’ like establishing myself in the somewhat daunting world of self employment. I felt perhaps it was time to honour the lifelong desire to grow my small businesses, and start paying back those NYFW loans that got me there. What a time it’s been! Kicking off on cue, almost immediately, everything of great cost that could have broken down, need repair, replacement or installation, doing so like a domino. I was not adequately prepared at all, and so the roller coaster began! Over the past 15 months I’ve learned so much about business, cash flow and myself, and throughout the ups and downs and further downs, there’s been incredible friends who have stood by me as I fumbled my way through the challenging choice of working for myself and of being broke, and almost broken. These earlier days were harrowing, especially coming to terms with the fact that I had pretty much got to rock bottom, which was far from being on the planned top of anything. Some days I received more phone calls and texts from the banks than from my family and friends. The realisation of losing my home (albeit the real estate I share with the bank) was becoming very real, and having bills upon bills that I just wasn’t able to meet devastated me. I was scared, an emotional wreck, and although determined, I silently wondered if I’d ever be able to get back up … And then in stepped my incredible friends! Endless days and nights of lengthy phone calls filled with support, encouragement, reassurance … I’ve always said “we friends serve a purpose” but never did I think I’d be so in need. As bad as things got I could not and would not give up and my feeble hope was undoubtedly strengthened by the constant presence of these mates who propped me up. I wholeheartedly thank each of them; for being there, for continuing to believe in me and most importantly for keeping me out of that hole. Today I’m in a better place, and as the fog clears more each morning, I feel proud to acknowledge and accept that I have learned what I SO needed to learn. The lessons have been raw and big and often painful but I accept them with the growth intended and know I’m already in a better position because of the experience. Hopefully one day I’ll be well versed enough to help others who feel they’ve got themselves to the depths from where I have just come. Even though the reality around me was very much my real problem, I was not ready to give up the dream. And these friends who did not give up on me and were right there with me, and completely there for me, were the essential boost I needed and pretty much the reason I’ve been working my way up and out. So, realising it’s a been while since my last update … and after sharing that I’ve been struggling a tad since, I feel it’s time to let you know what I’ve been doing. In the beginning days I immersed myself into researching for mentors and inspiration and courses that would teach me and keep me awake and inspired; financial management, skills enhancement – training in all aspects of my chosen, self employed life. I stayed up till the wee hours and kept myself busy in learning rather than giving into the alternative of collapsing with failure. As each month passes I continue to put another fold in the map of challenge and finally, I feel I have the headspace to write again and proudly, I even feel I have a couple of stories to tell. 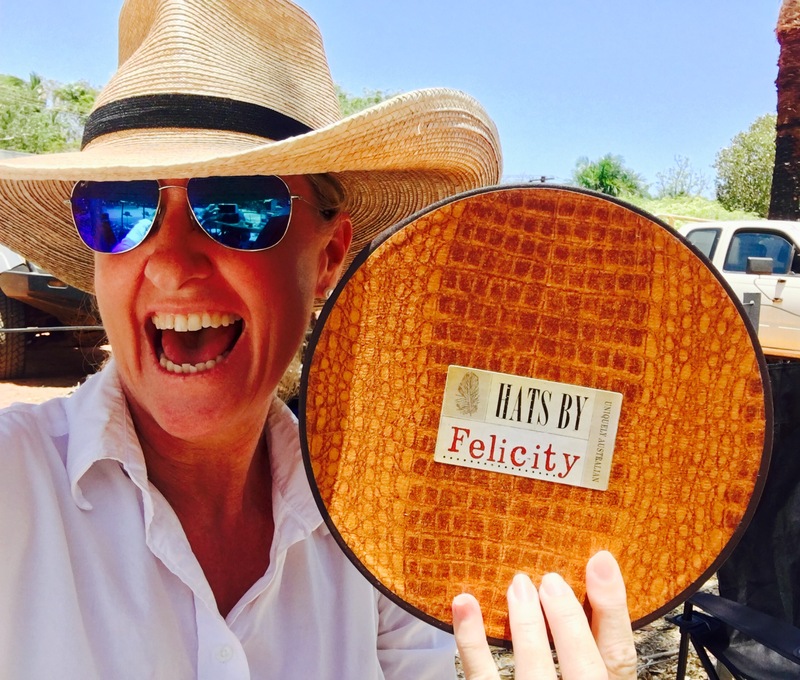 In April, my small business Hats by Felicity celebrated it’s 10th year in business … can you believe it? And my accommodation, The Quarters celebrated 10 years in business as well. Proudly, both are still afloat! With the Hats milestone I simply had to celebrate with a little gathering, after all that’s 10 years of formally creating, showing and dressing people in my creative passion. Some of my long term clients and friends have commissioned me on a regular basis since these very first beginnings. One friend even turned up to the night wearing a hat from my very first collection launch, made from my grandmothers vintage velvet, and my heart sang as it waltzed through the door. Through my existing accommodation business “The Quarters” I have now opened my home to tourism in addition to my current corporate clientele, and I haven’t looked back. I share my little part of Broome, my town, my stories, my favourites restaurants, coffee and tours with people from around the world. I bake scones and cook damper and probably drive my ‘captive audience’ mad with hat yarns but the reviews tell me they are happy and reviews feed the bookings and the bookings have been coming … thankfully. I still walk our beach! Cable Beach, as many mornings as I can. Regardless, I get up and out of bed – there’s no better way to start the day than with sunrise on one of the most beautiful beaches in the world. The ocean, my music, walking, wildlife and endless inspiration … sometimes I walk with my eyes closed and soak it all in (or perhaps I’m still waking up). Either way, I definitely thank Sweet Lady Broome! I returned to fundraising, a pre-existing part of life that I now realise I am incomplete without. With two incredible friends I embarked on raising money for Variety, the Children’s charity, which sounds ironic when I struggled to pay the mortgage, but the focus of raising funds for others was an essential part of the recovery too. Together we three embarked on the Internationally acclaimed fundraising car rally, the Variety Bash and that’s a yarn in itself just begging to be told. I’ve designed, produced and launched the first three products of my Hats by Felicity commercial range; the ‘Cruise Broome’ and ‘Cruise Kimberley’ hats and ‘The Bay’ visor. I am excitedly selling all three products through my weekend market stall and my online store (that incidentally I built with some nearly acquired skills) and I’m seriously proud to have these products now wholesaling through several outlets across Northern Australia. I re-launched my project and business development self (my other life long passion) and as FMB Projects I am thrilled to be involved with some damn inspirational people, and progressing exciting projects within the industries that I love. I continue to immerse myself in my passion of creating one-off millinery creations and thank those who fall in love with these pieces and purchase from my collections, along with those who continue to commission me to create their bespoke pieces, which not only keeps me immersed in my passion and growing my art but also keeps me so happy, chuffed and complete. More recently and most humbly, I have been completely overwhelmed by the comments and words from people I know and don’t know, in response to the Foxtel release of the documentary, MadHATtan; the story of my journey from Broome to the Big Apple, produced by Caro Constantine and Annie Parnell. If you have Foxtel, I’d love you to watch the yarn which is airing on LifestyleYou .. hilariously, I don’t have Foxtel but after two and a half years in the filming I have an idea of what secrets have been shared and I have seen Caro’s masterpiece in it’s final edit. Despite the challenges imposed by choice of leaving salaried income and amongst the fog and haze that I am by no means on top of yet, I am doing what I love and this to me is so important and is absolutely the right thing for me to do. I’ve had a lot to learn and my situation immersed me deep into that; I also had a lot to learn about myself and those around me … and I have. My journey is exactly that – mine, but I completely acknowledge I wouldn’t be on the right road without my treasured mates and with all my heart I salute and thank you. I know I still have a long way to go before I can stop my duck legs paddling like demons underwater, but finally, I realise that I’m not the only one and that it’s going to be OK.
As for the Variety Bash … well that crazy Adventure commands a Blog of it’s own … so stay tuned for this colourful yarn cause it’s definitely coming your way! In the meantime, though, keep smiling and looking out for your mates, especially if their smile has disappeared. We all need each other! It’s often a difficult book we live. Apparently, very few people were prepared for my runway treat of male models in the NYFW show. iPhones went skidding across the runway as guests fumbled and flurried and tried to re-gain composure – they simply weren’t ready for the eight-pack that presented and opened the show. Even the live stream experienced an interruption. The Bondi Bather sequins swimwear too, was a huge hit and with immense pride I can also report, so was my 20 piece collection of millinery and worn art. And as the months go by and another photographer tags me with his own moment captured, I get to relive the feeling of show exhilaration again and again and still to this day. My creativity, sweat and tears was showcased to perfection by the models and the somewhat unnerving paparazzi experience afterwards left me with no doubt that I had achieved the goal set before me and perhaps more. But in less than 10 minutes it was over. The next designer was on the runway, I was in a tiny dark hall way, hugging my pieces with protective arms, caught against the traffic in the narrow backstage warren and unable to make any movement against the long line of models – my NYFW Spring Summer 2017 showing was done. For the past three years Ive been privileged to show on the runway of New York, so this year I was better prepared for the ‘lost’ feeling that follows; when the whirlwind that is my existence since the year began comes to an abrupt end. After the chaos, and the celebrations with treasured friends who have travelled the globe for the show, there’s that real risk of losing direction, momentarily at least. The live stream of my runway show was viewed by 15K people with a reach of over 37K on Facebook alone. I didn’t know what to do with those stats. All of it was so overwhelming, the lead up, the show and afterwards and at times I felt I was in a complete out of self experience. Combine this with the post-adventure blues as each treasured friend zipped their suitcase to head back home – I needed the next thing to look forward to and fast. So before I headed to the U.S, I planned a little adventure to embark on after New York, something to look forward to and keep those ‘lost’ feelings at bay. First stop was a trip to the Hamptons with great friend and brilliant Broome based Aussie photographer Kathryn Sprigg. We spent the first day scouting the Hamptons for photoshoot opportunities and the next two days photographing and believe it or not, I was the one wearing my collection. By no means a model; this was understandably a very casual shoot, no hairdressers, no makeup (no shock there), and for most of the time I was still wearing my RM Williams boots but the aim to create visuals for my Hats by Felicity portfolio was achieved. This soon to be completed, visual documentation of my journey and growth of millinery art is being developed primarily for film and television, to promote myself as a milliner looking for a job. The portfolio will also promote me to print media, as an available resource to provide millinery and worn art creations for photo shoots, for others promoting their brands. The creation of this visual story has been a great follow on for me to delve into after the show. With Hamptons shoot done, my next stop was Texas. I love this place and I was not going home without a few days touchdown at least. I had met a great texan couple at the Broome Cup races (as you do) and we had exchanged numbers and I was excited, not only to spend the day with Rusty and Monica but they were also taking me to visit a hat maker – Rusty’s hat maker, who incidentally, was taking the red pindan dirt out of Rusty’s hat! What are the chances of me viewing a cowboy hat getting Kimberley dirt removed from it in Texas! Jeff from Biggar Hats is a legend. He not only welcomed me to his Decatur store but I got to tour the back store workshop with insight into Jeff’s own tricks of our treasured hat making trade. Like me, Jeff is passionate about creating individual hats for individual people. He measures the head, creates the wood size mould that he also engraves with the client’s name before creating the perfect hat for each client that walks through his door. I sew in a pearl button to my one-off creations and Jeff embellishes the clients name to the inside of their hat. We love bespoke. Rusty, Monica and I spent the majority of our day in Biggar Hats and were then pressed for time for their other Texan must do’s, which is why it’s always a great plan to return! What we did do however, was somehow discover we had but a few degrees of separation in friendships and we were simply meant to meet. For the final leg of my adventure, I stopped over in Hawaii for a few days, to break up the long trip from Texas to Broome and to re-energise and prepare for my life. I finished full time salaried work during the year and while show preparations and bespoke creations had kept me busy before I left, I was heading back to a new life of working for myself. I used the time in Hawaii to do my post show interviews, making sure I was relaxed and comfortable with that magnificent ocean view, as we all know public speaking is not my comfort zone. With interviews done, I had two days to completely chill and find myself; Walks along Waikiki beach in the mornings and evenings and by the pool with book to read during the day – the second day by the pool I brought along my notepad and pen. I feel it’s so important to take time out from our lives, whatever they may entail and give time to yourself, to relax out of the space you are in, to energise and have the ability to clearly and sensibly plan where to next. I honour myself with this space every Monday night – commonly known to those close to me as my ‘Flic nite’. It only takes a few hours but I stop and sit. It’s the night I’ll have a foot spa or face mask, I’ll even book a massage – I do not work, and that’s a hard thing to do – especially now that I work for myself as we all know the self employed never really stop. Headspace is so important – our mental health just as important as physical. 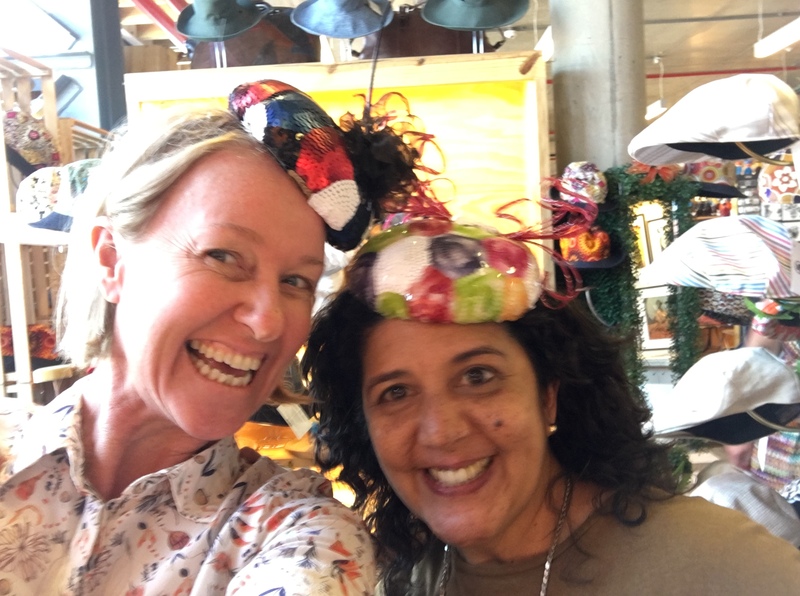 My Milliner on the Move business too embraces mental health just as much as it embraces rural, regional and remote Australia. The hats being the ploy, enticing people to stop, even if it’s just for one night and to be surrounded by friends and laughter; to forget about tomorrow’s crazy itinerary just for a moment. 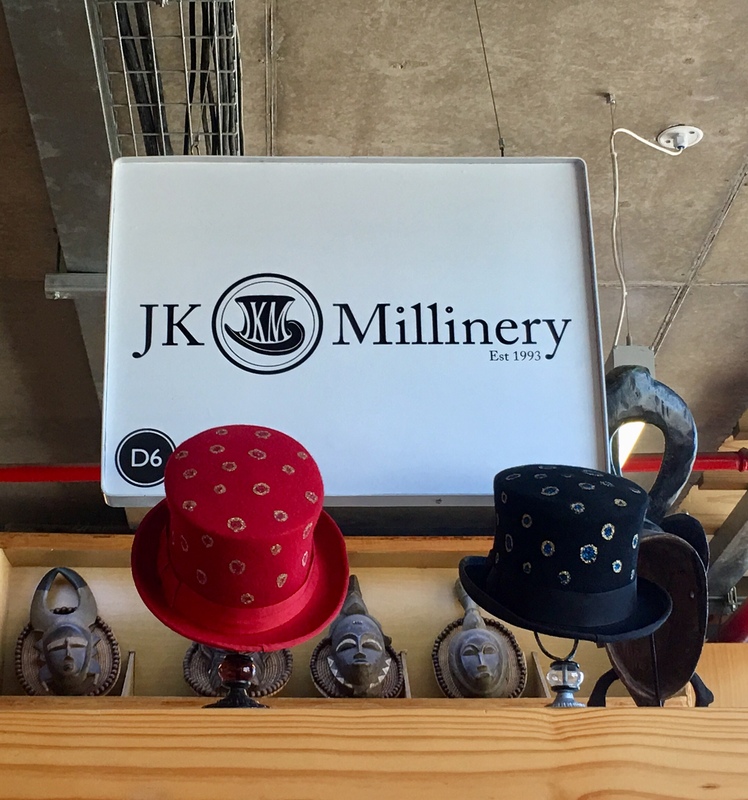 The joy of millinery isn’t just about the hat – it’s about what donning a hat does for us; how it makes us feel, change our stance, play a hero, even an alter ego. Hats make us happy. It took me 40 years to realise I wanted to be an entrepreneur and now that I’ve worked it out, I am passionate. In many ways, my millinery art and passion have delivered me here. 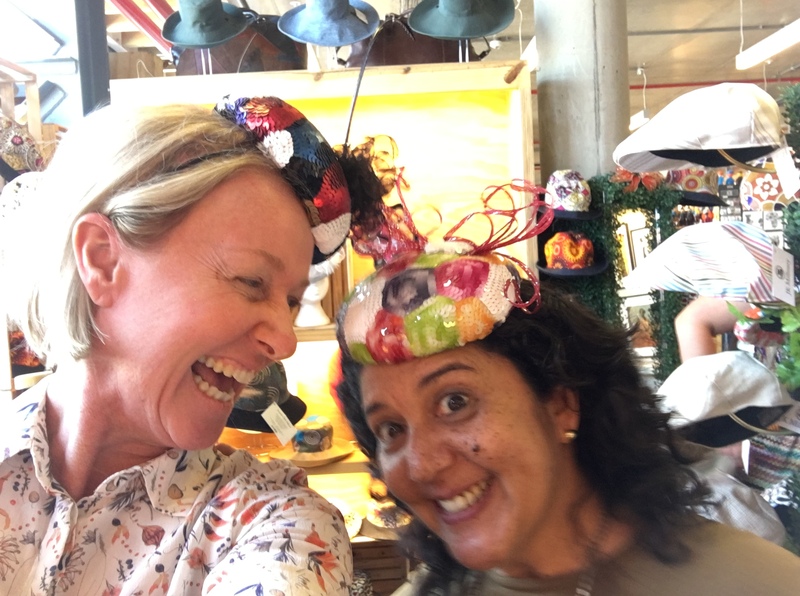 And as well as growing my millinery to the next levels I am also excited to embark on my other passion of business and special project development, – making ideas happen. I’ve launched my new Business FMB Projects, to help others bring their ideas to fruition. I’ll be very honest when I say I am petrified and scared as I embark on this self employed journey but I’d be pretty peeved’ at myself if I didn’t at least have a go. I have learnt so much on my journey that on the outside may showcase the hat, but like everyone else, has so many other layers beneath. I feel my hats are only the beginning and they still have so far to grow. I feel the time is now right to take the plunge and go out on my own; to grow not only my millinery and worn art but also my other passions and small businesses. And I want to share my skills, experience and lessons learned with others who have ideas they want to grow. So as I tip my hat to another NYFW show I tip my hat to you, my friends and supporters who got me there and have got me here; to following our dreams and to new business ventures and health and happiness in 2017. I tip my hat to life. Celebrating with my fabulous friends after the NYFW show. Bubbles and sunset on our rooftop in New York.